Pitzer student extended application due date for fall 2019 is April 1, 2019. High in the Andes and with a spring-like climate throughout the year, Quito, Ecuador, is one of the most beautiful cities in South America. In 1978, UNESCO designated Quito as a world cultural heritage site, ensuring the preservation of some of the most impressive architecture in Latin America. With a geography that encompasses tropical Pacific beaches, Andean mountain villages, and Amazonian rainforests, Ecuador provides a dynamic setting for studying the challenges that face a small, developing nation. Pitzer in Ecuador is affiliated with Universidad San Francisco de Quito (USFQ), considered the top university in the country. Students at beginning, intermediate or advanced-low levels will take Intensive Spanish as a second language at Academia Latinoamericana de Español, a premier language institution in Quito with which Pitzer has had a relationship for over 20 years.Students with Advanced Spanish proficiency (usually 5 or 6 semesters of college Spanish or the equivalent) and a suitable language evaluation may take content courses at Universidad San Francisco de Quito for up to two Pitzer course credits. There is no language requirement for the program. However, it is recommended that students take one or more semesters of Spanish prior to the program whenever possible. Students must be in good academic standing and with a 2.0 or higher GPA on a 4.0 scale. 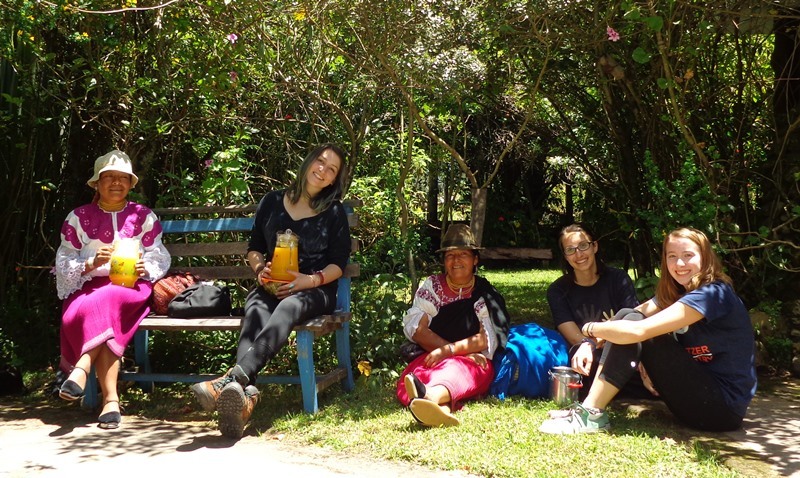 The Pitzer core course, Ecuador, an Andean Country, integrates all components of the program, including lectures, study trips, involvement in a local community organization and the family stay. It offers an important framework for understanding the social, political, economic, and environmental issues in contemporary Ecuador. 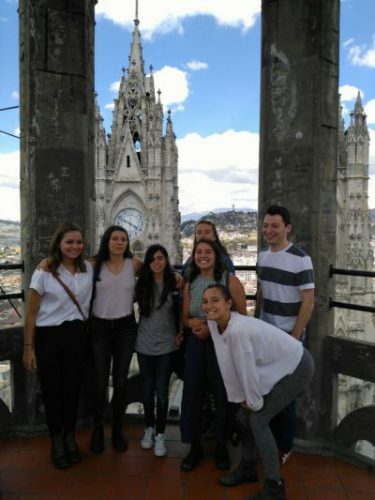 Students will meet once a week in class and spend additional hours participating in a community organization in Quito to gain firsthand experience with the issues explored in the course. The core course is taught in Spanish by an Ecuadorian university professor. To accommodate students with lower levels of Spanish proficiency, for the first month of the course, the academic director synthesizes the course content in English during the class meetings; this allows all students to engage fully in the ideas and issues covered in the classroom. The independent study project for this program will be an ethnographic study culminating in a major paper written in Spanish for students with advanced Spanish proficiency and in English for students with beginning or intermediate Spanish proficiency. You must select a project that involves field research, and other techniques that facilitate cultural immersion. Intensive Spanish is offered at the beginner, intermediate and advanced levels through Academia Latinoamericana de Español. Content Courses for advanced speakers are also offered through Academia Latinoamericana de Español. For a sample list of possible content courses available fall 2016 Academia Program of Studies. Students with advanced Spanish skills may have the opportunity to choose regular university courses available at a local university. To research course options visit the University website at https://evaluaciones.usfq.edu.ec/banner/ssb/cursos2017.php?perfil=69856454f9402120c9430e12167c3499 After Período, select Primer Semestre and the academic year. Next to Oferta Académica, select ANTIGUA. Next to Sesión, select Presencial Diurno Cumb. To view the prerequisites, click on the red icon to the right of the course name. Next to the red icon, you will see a white icon for the course description. Professors in a particular field group or department determine which courses count towards a student’s major or minor, but the credit for study abroad courses is awarded through the Office of Study Abroad. Students who wish to receive credit towards their major for a particular course should consult their academic advisor for guidelines. Some schools, field groups, or departments may wish to see a syllabus, samples of coursework, texts, or other program materials to make a determination. Check the requirements before you go. The seminar offers a panoramic view of Ecuador’s economic, political, social, cultural and environmental reality. The seminar focuses its attention on the Ecuadorian reality, but also considers the situation of other countries in the Andean region that share a similar reality. Through different planned activities, the seminar will allow students to understand the principal issues and challenges facing present-day Ecuador, as well as how to reflect and give meaning to their daily lives and experiences. Reflect on the cultural immersion process during the semester, and be conscience of the way in which cultural baggage contributes to the fostering and/or obstruction of cultural adaptation. Understand the issues that Ecuadorians from different social groups and classes have to face day-to-day, and the strategies they put into play in order to come out ahead. Analyze the way in which racism, gender discrimination, and social inequality manifests in the country; and the various initiatives that different marginalized groups put into action for improving their own conditions. Gather and consolidate different community players’ points of view, through full participation in host family life, community service and at the university; and through the implementation of qualitative research techniques. Demonstrate respect and understanding of cultural beliefs and practices even though they may differ from one’s own beliefs and practices. The seminar includes the following activities: discussion sessions, community service, study trips and the host family stay. These sessions will take place every Tuesday afternoon from 2:30-4:30pm. The sessions will offer a unique space for deep discussion and analysis of topics and questions that emerge from daily life, community service, host family living and assigned readings. Student participation in the sessions is fundamental. For each session, the students must have read the selected material and prepare a written report in which they analyze and provide an opinion about questions found in the reading. In some sessions, students will be in charge of leading the discussion. The community service component represents an excellent opportunity to learn about the situation of Ecuador’s most vulnerable groups and the work of non-governmental organizations (NGOs) and religious organizations that work in favor of these groups. Each student will designate two weekly sessions (of three hours each) for their community service. One of the responsibilities of the community service consists of maintaining a field journal in which students register their experiences and the most important occurances during their weekly visits to the institution, as well as respond to the questions indicated in the Fieldbook. For the final seminar, students must prepare a visual presentation (photographic) of their community service experience. More information about the field journals and the visual presentation can be found in the Fieldbook. To deepen student’s knowledge about topics discussed in the seminar, students will take part in two study trips. 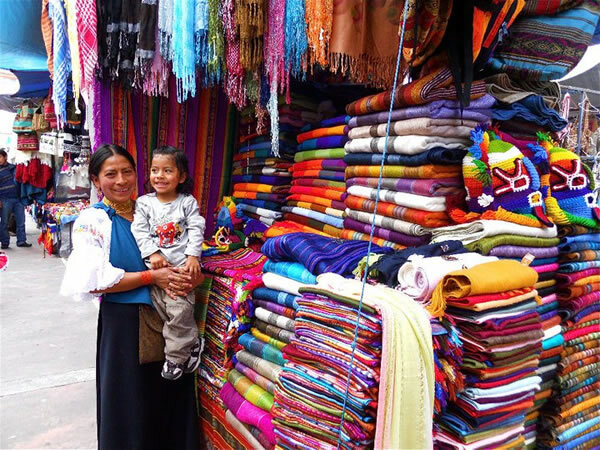 The first will be to the community of San Clemente, an indigenous Quechua community located in the foothills of Imbabura (to the north of Quito). There, students will interact with the indigenous population of the area and will get to know, first hand, its way of life and on-going issues and projects. The second study trip will be to the Pañacocha lagoon in the Amazon Jungle. In Pañacocha, students will be able to appreciate biodiversity and witness various environmental problems that exist in the region. The host family stay is a valuable opportunity that allows students to become involved in Ecuadorian culture and to get to know people of different ages and backgrounds. The program includes two distinct home stays. The first and longest will be in Quito with a professional, middle-class family. The second stay, of a few days, will be with an indigenous family in the community of San Clemente. Creswell, John W, Qualitative inquiry and research design, Thousand Oaks – California: Sage Publications, 2007. Chambis, Daniel, y Russell K. Schutt, Making sense of the social world. Methods of investigation, Thousand Oaks – California, Sage Publications, 2004. Martinez, Carmen, “The “Citizen´s Revolution” and the indigenous movement in Ecuador: re-centering the Ecuadorian state at the expense of social movements”. Ponencia presentada en el seminario internacional Estados descentrados: formación y deformación política en los Andes, organizado por FLACSO y Emory University, 2010. During the semester in Ecuador, students will carry out a series of exercises that will allow them to reflect on their own experience in Ecuador, as well as prepare them for the process of collecting information necessary for the development of their Independent Research Project (ISP). Students will write a letter to a member of their respective families: father, mother, siblings. The letter should emphasize first impressions of Quito, Quiteños and their way of life, as well as the main experiences of cultural adjustment with the host family, outside the home, etc. The letter must be written in Spanish (except with permission by the professor) and be approximately three pages in length, double-spaced. Students will construct a map of their family’s kinship relations. The exercise will consider the extended family that includes grandparents, aunts and uncles, cousins and other members of the family. The objective of this exercise is not only for the purpose of understanding the host family structure, but also to learn the names of family affiliations (aunts, uncles, nieces, nephews, grandparent, grandchild, cousins, brother-in-law, sister-in-law, son-in-law, daughter-in-law, etc.). Students will write a story in which they record their impressions and experiences from the trip to the Amazon. The story should be minimum three-pages in length, double-spaced. This assignment is completely free form and invites unleashed creativity. Design the interview that is going to be used. Interview two people. It is recommended that students interview people of different ages and gender. To capture the information of the interviewee, students should select the most appropriate mechanism: digital recording or simultaneous transcription. Write a report (minimum four pages, double-spaced) that includes the most relevant aspects of each interview and notes differences and similarities between perspectives. In the end, students will carry out a comparative exercise between the way gender discrimination is expressed in the United States and Ecuador. From the San Clemente community stay, describe and analyze an aspect of the way of life and culture of community members: use of medicinal plants, the role of children in agricultural work, gender roles in indigenous families, etc. Clearly define a topic that will be observed, for example: gender roles in the indigenous community. Observe the selected topic area and make notes in the field journal. Write a report (minimum four pages, double-spaced) in which the collected information is presented and an interpretation of the information is discussed. What is the name of the community service institution? What services does the institution offer? What type of people look after the institution? What challenges did you find in your community service? How did you confront these challenges in your community service? What did you learn in your community service about the community and the institution with which you collaborated? Students must write a report on each assigned reading. The first part of the report should include a synthesis of the reading in which the central thesis of the text and main arguments are presented. In the second part of the report, students will analyze and/or comment on one of the text’s themes that interested them. Students must prepare a visual presentation about their community service experience. Presentations can be photographic but also in video. The presentation must focus on three areas: 1. the institution and its principal characteristics: infrastructure, services offered, etc., 2. the people who benefit from the institution: age, social and ethnic group they belong to, problems they encounter, etc., and 3. Experience working in the institution. In this last part, it is important that the students’ presentations state not only what they learned the most, but also the problems they had to sort out daily. Each student develops a qualitative research project on a specific chosen topic. In the design, development and evaluation of the research, students should put into practice all of the elements discussed in the seminar. First, students will prepare a written draft of their ISP to present to their ISP tutor two weeks before the seminar ends. With the comments they receive, students must prepare a final paper and submit a printed version and electronic version. The length of the written version is 30 pages that should be accompanied by the bibliography, photos, drawings, maps and other graphic material that complement the written text. The final version will need to be reviewed by a Spanish speaker to avoid linguistical errors. In order to avoid students leaving the ISP to the last moment, they will present a written report of their progress half way through the semester. This report will be graded and calculated in their final ISP grade. Research focus: narrative-biographic study, qualitative study, ethnographic, etc. Justification: Why do I want to research this topic? Research question(s): What am I going to research? Objectives: For what reason am I going to research? What am I going to achieve at the end of my research? Research techniques: What techniques am I going to utilize for the collection of information (interviews, observation, focus groups, other)? In the case where interviews or focus groups are used, it is necessary to be precise about who will be interviewed and who will be part of the focus groups. Ethical aspects: Which ethical considerations must I keep in mind when doing fieldwork? Schedule: How am I going to organize my time for the development of my research? Bibliography: What materials am I going to use? For example: books, articles, journals, newspapers, etc. Bibliography: All sources used for the research: books, journals, newspapers, interviews, informal conversations, television programs, lectures, etc. The ISP must be submitted in printed and digital copy. The printed version must be ring bound. To deepen students’ understanding of topics covered in the core course, students will participate in a rural stay in a Quichua-speaking mountain community and a study trip to the Galápagos. The independent study project for this program will be an ethnographic study culminating in a major paper written in Spanish for students with advanced Spanish proficiency and in English for students with beginning or intermediate Spanish proficiency. You must select a project that involves field research, and other techniques that facilitate cultural immersion. Topic selection may be limited by available resources and local conditions. Project locations will be limited to areas within and nearby Quito. 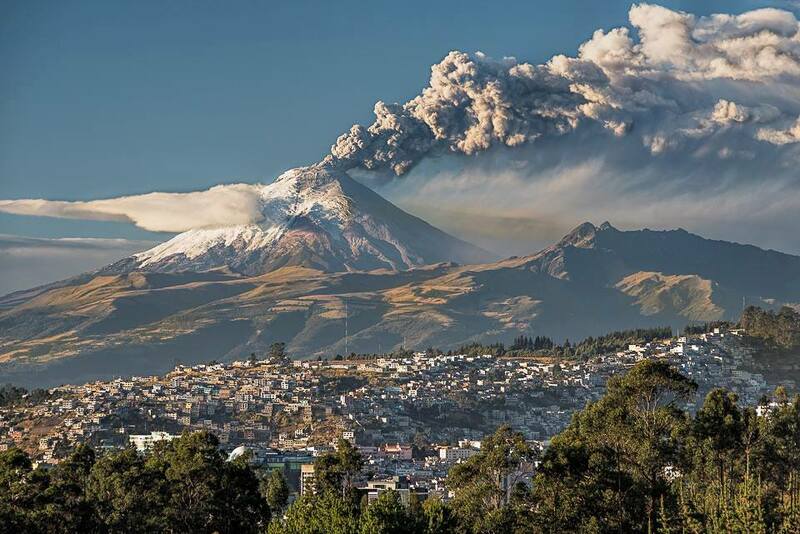 The heart of the Pitzer Exchange in Ecuador is the semester-long family stay in Quito. The opportunity to become a part of a family and develop a personal relationship with the individual family members is a distinct privilege. The families usually speak little or no English. Though the space and amenities of their homes may seem modest in comparison to similar American homes, many of these middle-class families will have domestic help.